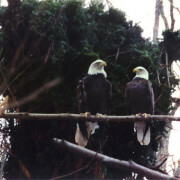 Pigeon Forge, TN, June 20, 2007 – Two 13-week old Bald Eaglets named ‘California’ and ‘Tennessee’ were released by the American Eagle Foundation from a condo-like artificial nesting tower located in the foothills of the Great Smoky Mountains – to celebrate the first “American Eagle Day” recently approved by Congress. 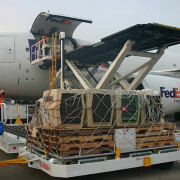 Pigeon Forge, TN, May 15, 2007 – The last four of six young Bald Eagles that recently hatched at the San Francisco Zoo touched down at McGhee Tyson Airport in Knoxville via Delta Airlines on yesterday (Monday) morning. 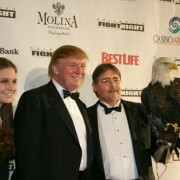 American Eagle Foundation (AEF) president Al Cecere, the celebrity Bald Eagle ‘Challenger’ and Gretchen Cecere (Jr.) meet Donald Trump at Muhammad Ali’s “Celebrity Fight Night” in Phoenix on March 24, 2007. Pigeon Forge, TN – February 12, 2007 –Patriotic Americans who want a unique alternative to giving roses and chocolate this Valentine’s Day can express their love by making a donation in that special someone’s name to the not-for-profit American Eagle Foundation (AEF) to preserve a national treasure, the Bald Eagle, for generations to come. Pigeon Forge, TN – February 7, 2007 –The American Eagle Foundation (AEF) has teamed up with the Fraternal Order of Eagles (FOE), a million member non-profit charity organization active in 1,700 communities, and Timberlin Creek Elementary School (TCE) to support the TCE’s American Eagle & Literacy Challenge, a nationwide initiative to help preserve the Bald Eagle and promote childhood literacy in the United States. 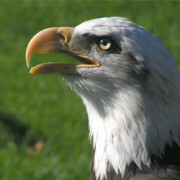 Arizona conservationists on Friday made good on a threat issued in November to sue the government over endangered-species protection for Arizona’s Bald Eagles. 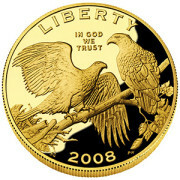 Americans view the Bald Eagle as our national symbol of history, freedom, and liberty. So in an age when national pride is valued so highly, it’s surprising that the U.S. 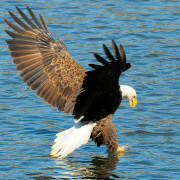 Fish and Wildlife Service is considering ending the Bald Eagles’ protection under the Endangered Species Act. 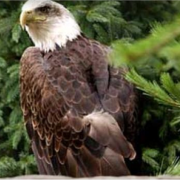 MINNEAPOLIS — Seven years after the U.S. government moved to take the Bald Eagle off the endangered species list, the Bush administration intends to complete the step by February, prodded by a frustrated libertarian property owner in Minnesota. 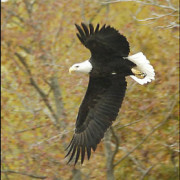 After more than 40 years of intense recovery efforts, the Bald Eagle is likely soon to be removed from the official list of endangered and threatened species. 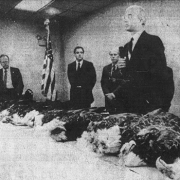 A court order has forced the US Fish and Wildlife Service to make its final decision no later than Feb. 16, 2007. 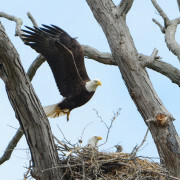 Are Eagles Ready to Leave Nest? 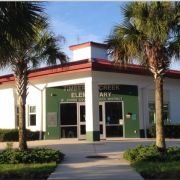 Plan to remove bird from ‘threatened’ list worries some. 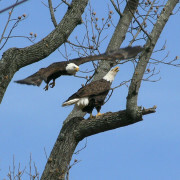 Bald Eagles have been seen soaring around Middle Tennessee, including Sumner, Wilson and Williamson counties, but a plan to remove them from protection of the U.S. 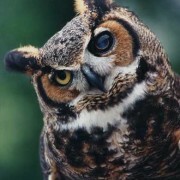 Endangered Species Act worries some experts. 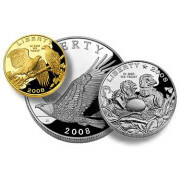 American Eagle Foundation (AEF), U.S. 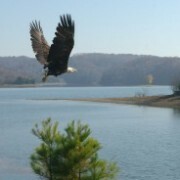 Fish & Wildlife Service (USFWS), and Tennessee Wildlife Resources Agency (TWRA) officials released a rehabilitated adult Bald Eagle on Thursday, November 9, 2006 at the Corps of Engineers’ Lillydale Campground on Dale Hollow Lake near Livingston, Tennessee. 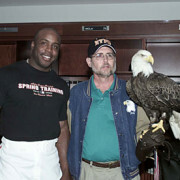 The eagle has been named “Patriot” in honor of the brave and courageous men and women of the U.S. Armed Forces that are fighting terrorists and defending freedom around the world. 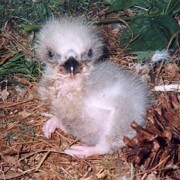 PIGEON FORGE, Tenn.— A four-week-old Bald Eaglet that hatched at the Columbus (Ohio) Zoo and Aquarium has been placed under the foster care of unrelated eagle parents that reside at the American Eagle Foundation (AEF) birds of prey center in Pigeon Forge, Tennessee. 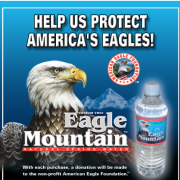 PIGEON FORGE, TN (Tuesday, February 7, 2005) – The not-for-profit American Eagle Foundation (AEF) announced today that its newly created Eagle Mountain Natural Spring Water brand will be sold in all 90 Food City supermarkets, owned and operated by K-VA-T Food Stores, Inc., beginning February 7, 2005. 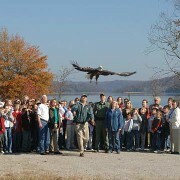 NASHVILLE, Tenn. — As Christmas fast approaches, the American Eagle Foundation (AEF), Tennessee Wildlife Resources Agency (TWRA), Senator Bill Frist (R-TN), Senator Lamar Alexander (R-TN) and Congressman Bill Jenkins are giving the gift of freedom to two rehabilitated bald eagles named “America” and “Patriot.” The birds were released on Saturday morning, December 11th, on the Cumberland River near Nashville. 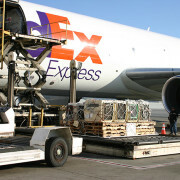 PIGEON FORGE, Tenn.- The old saying that a mother’s work is never done is proving to be true this Mother’s Day, but not just for moms of the human kind. 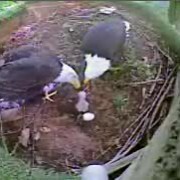 ‘Liberty,’ an American Bald Eagle cared for by the non-profit American Eagle Foundation (AEF) of Pigeon Forge, Tennessee, is keeping very busy these days tending to her newly hatched baby. 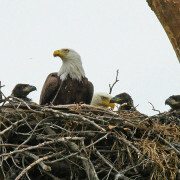 The majestic bird, her mate ‘Justice’ and their 12 day-old eaglet can be viewed online at the AEF’s website www.eagles.org via the Eagle Nest Cam link. 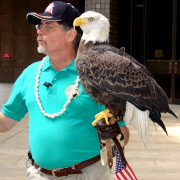 Feb. 8, 2004: To kick off the NFL’s 54th Pro Bowl All-Star game on a soul-stirring, patriotic note, a non-releasable Bald Eagle named Challenger flew into Honolulu’s Aloha Stadium during the playing of The Star-Spangled Banner. 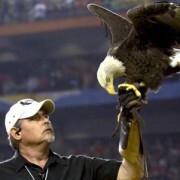 The veteran performer is billed as the first national bird in United States history trained to provide that glorious soaring act for our country. 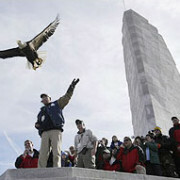 CHALLENGER the bald eagle is released from the edge of the Wright Brothers National Monument in Kill Devil Hills, North Carolina, on the eve of the centenary of man’s first powered flight. 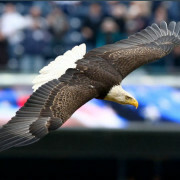 The Capitol Building is one of the most picturesque structures in a town full of monuments, but last week the scene was more awe-inspiring than normal when a bald eagle flew over the landmark as part of a ceremony commemorating the 30th anniversary of the Endangered Species Act (ESA). 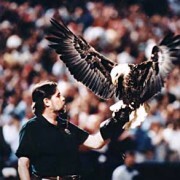 PIGEON FORGE, TN – Prior to Game 3 of the 2003 World Series between the Florida Marlins and New York Yankees, the American Eagle Foundation’s trained celebrity Bald Eagle, Challenger, will grace the skies over Pro-Player stadium during the singing of the Star Spangled Banner. 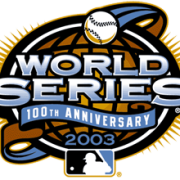 It will be the fifth year that the majestic bird has been featured in a pre-game fly-over at Major League Baseball’s premier championship contest. 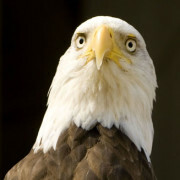 PIGEON FORGE, Tenn.–The non-profit American Eagle Foundation (AEF), headquartered at Dollywood, announced approval of Tennessee State legislation (Bill No. 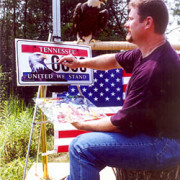 1303) for the development of a vehicle license plate honoring the Bald Eagle, our nation’s Freedom symbol. 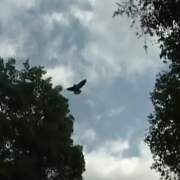 DANDRIDGE, Tenn. (AP) _ From a hacking tower above a still-water cove on Douglas Lake, four young eagles took flight Monday as part of the continuing effort to restore the nation’s symbol to America’s skies. Today, singer/actress Dolly Parton, the Foundation’s largest benefactor, and its trained non-releasable Bald Eagle “Challenger” participated in the official public opening of a new Bald Eagle Refuge exhibit at the Smithsonian National Zoo. 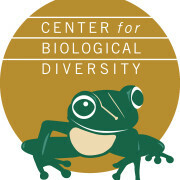 The opening ceremony was led by Secretary of the Interior Gale Norton, Ms. Parton, and National Zoo Director Lucy Spelman. 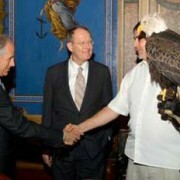 Other government and conservation officials were also present. 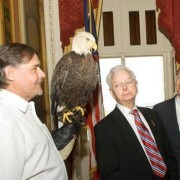 WASHINGTON – Two bald eagles from Pigeon Forge were carried to congressional offices Monday and Tuesday to build good will for a big increase in federal funding for the states’ fish and wildlife protection programs. 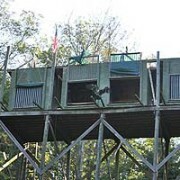 June 25, 2003 — The American Eagle Foundation staff (headquartered at Dollywood in Pigeon Forge, Tennessee) banded a Bald Eaglet on Wednesday, June 25, 2003 and placed it into an artificial nesting tower located on Douglas Lake in East Tennessee. 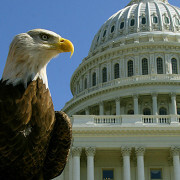 The American Eagle Foundation’s work to raise public awareness and preserve the nation’s freedom symbol will again reach into the heart of Washington, D.C.
Washington, D.C. – When the subject of federal grants for State wildlife programs comes up in the new United States Congress, there will be a very visible and effective lobbyist from Tennessee on the grounds of the U.S. Capitol Building. 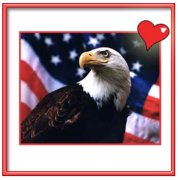 His name is Challenger, and he’s an American Bald Eagle cared for by the non-profit American Eagle Foundation, headquartered at Dolly Parton’s Dollywood entertainment park in Pigeon Forge, Tennessee. 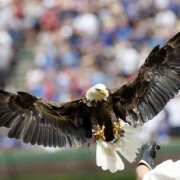 CHICAGO — ‘Challenger’ – a 15-year old Bald Eagle – soared through the skies over Wrigley Field today during the Oak Ridge Boys’ singing of the National Anthem to raise awareness of the new Illinois Military Family Relief Fund.